All eyes are on the U.S. Supreme Court as oral arguments begin today in the case of South Dakota v. Wayfair, Inc., a decision anticipated to bring clarity in how and when online retailers must collect and remit sales and use taxes to states. Appellants in this case seek to overturn the Court’s 1992 Quill decision, which held that states cannot force sales tax collection by vendors who do not have personnel or property in a given state (the “physical presence” standard). In the 26 years since Quill, states have adopted a patchwork of laws, many of which have stretched or ignored the physical presence rule to broaden the scope of their tax collecting authority. My colleague Joseph Bishop-Henchman has explored in depth the legislative gymnastics states have undertaken to establish just enough physical presence “nexus” to rationalize in-state sales tax collection by out-of-state vendors. With the Supreme Court expected to act by June, states, retailers, and online shoppers alike are anxious to see just how the tax treatment of online transactions may change this summer. With the state sales tax landscape growing more complicated, the high court’s decision will inevitably be a timely one. 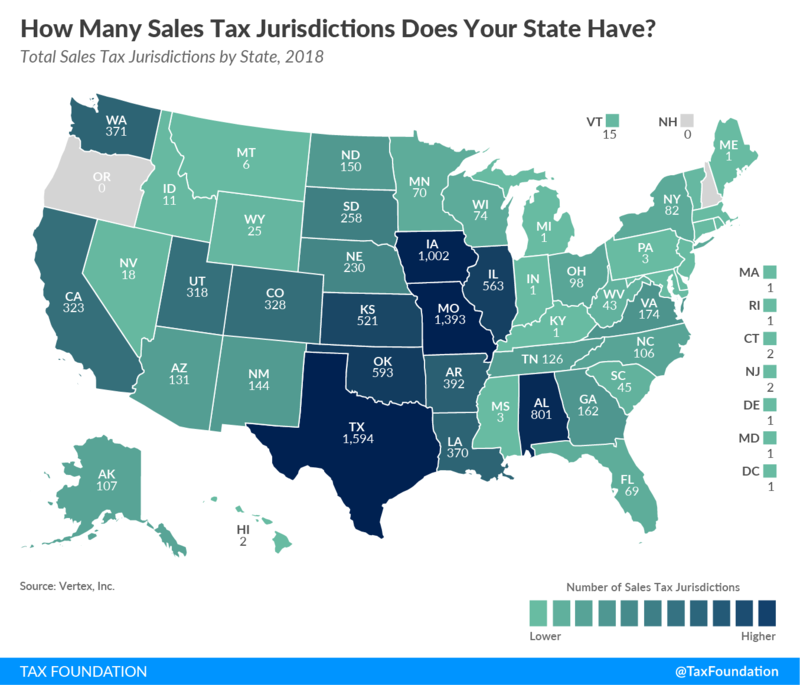 According to October 2017 data from tax software company Vertex, there are now at least 10,814 sales tax jurisdictions in the United States, up more than 800 since we explored this trend in 2014. Each jurisdiction has a distinct aggregate sales tax rate based on a unique combination of factors, including sales taxes levied by taxing authorities at the state, county, city, and district levels. The number of jurisdictions varies widely by state. New Jersey, despite having hundreds of municipalities, has just two sales tax jurisdictions, while Texas has well over 1,500. Fewer jurisdictions doesn’t always translate to less complexity, however, as states and localities have their own laws and practices when it comes to sales tax administration, audit, enforcement, and notice of rate changes. With different taxing authorities making an average of over 600 sales and use tax rate changes in the U.S. every year, it’s no wonder businesses of all sizes employ tax software services to stay up-to-date as they work to collect and remit all appropriate taxes from transactions in every jurisdiction. But having access to sophisticated software does not change the fact that the physical presence, or “nexus,” is defined in different ways in different states. Even the U.S. Small Business Administration acknowledges that thousands of overlapping sales tax jurisdictions – and different definitions of “nexus” – can make tax compliance overwhelming if you operate a business online. 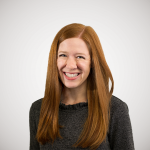 While different parties will certainly continue vying for their preferred outcome from the Supreme Court, when it comes to establishing a consistent baseline standard for how and when sales taxes should be collected, we can only hope Wayfair will bring some level of method to the madness.